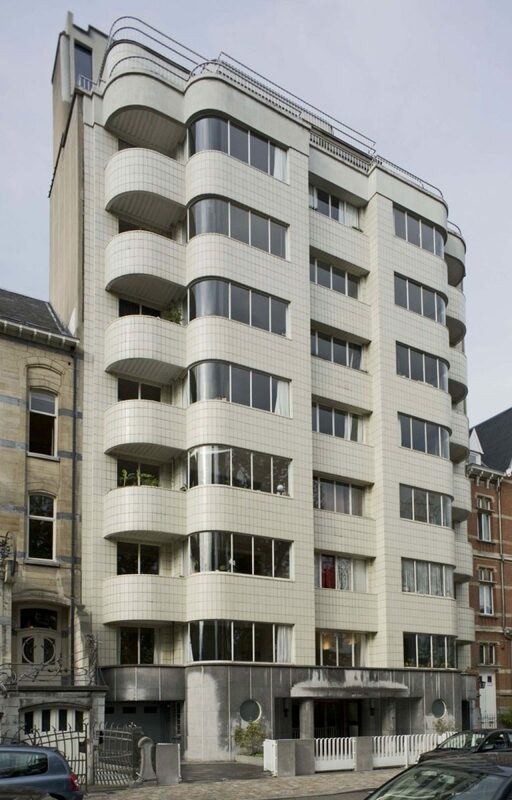 During the course of the 20th century the culture of the apartment in Brussels has been developed into an art form. The city has made an effort to make living in urban apartments attractive and culturally acceptable. 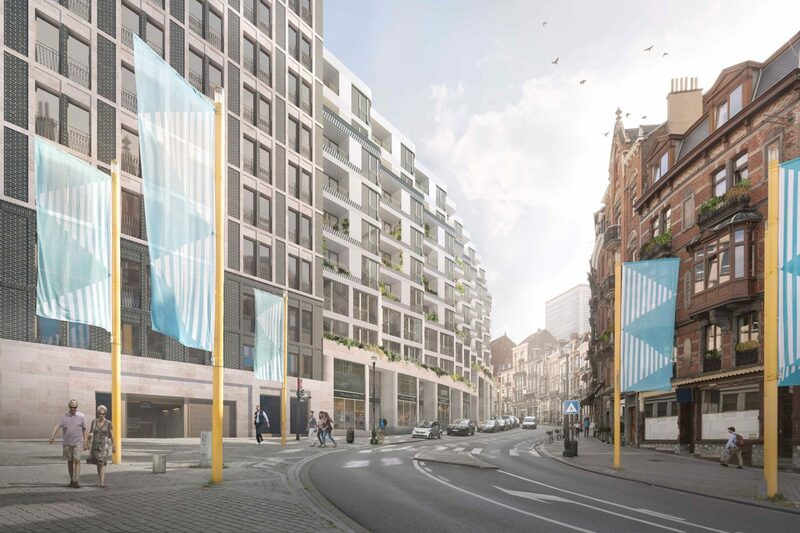 With our project we refer to the rich history of housing Brussels seems to offer, both explicitly and subliminally. At the same time we acknowledge the need for breathing space felt by many people living in a city like Brussels. For that reason we have designed a block with an urban face and an intensely planted green interior court. A contemporary lifestyle with sufficient privacy, in close vicinity to nature and the buzzing diversity of the inner city are not mutually exclusive. On the contrary! 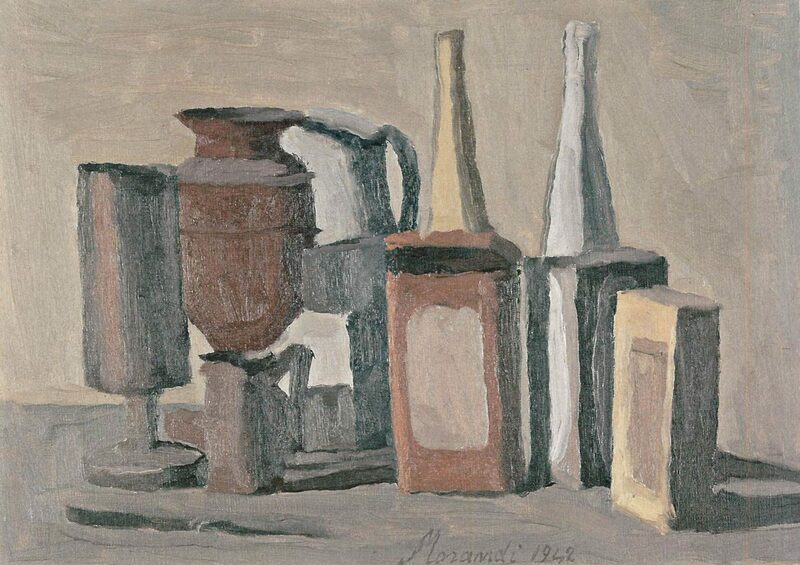 To us paintings of Morandi symbolise the organically grown city. The still life paintings illustrate the harmonious coexistence of various objects in mild colours and carefully registered light. While working within the contemporary city we appreciate architectural and atmospheric choices made in the past. 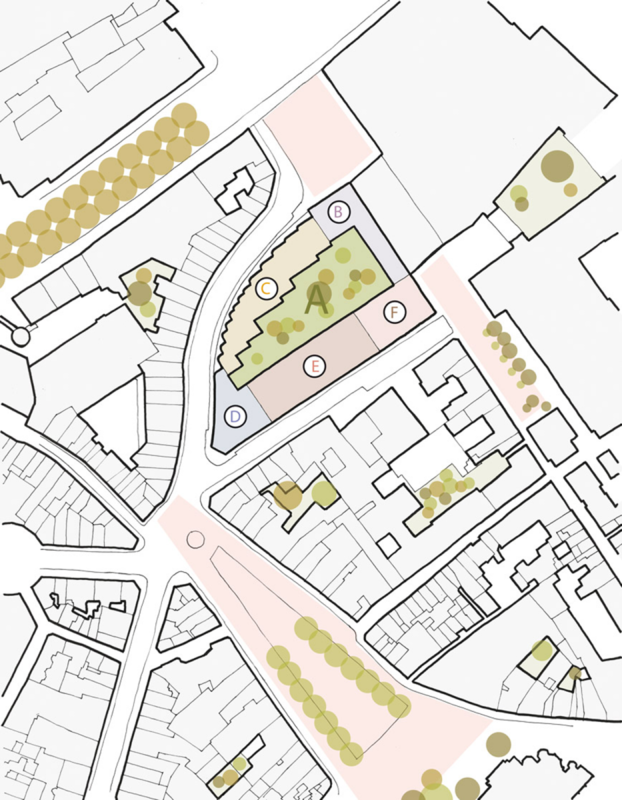 Choosing for the buildings we build now a harmonious palette of colours and materials with respect for the existing we can allow for different shapes, languages, programmes and approaches and continue to build liveable, organic, multilayered cities with lasting qualities. 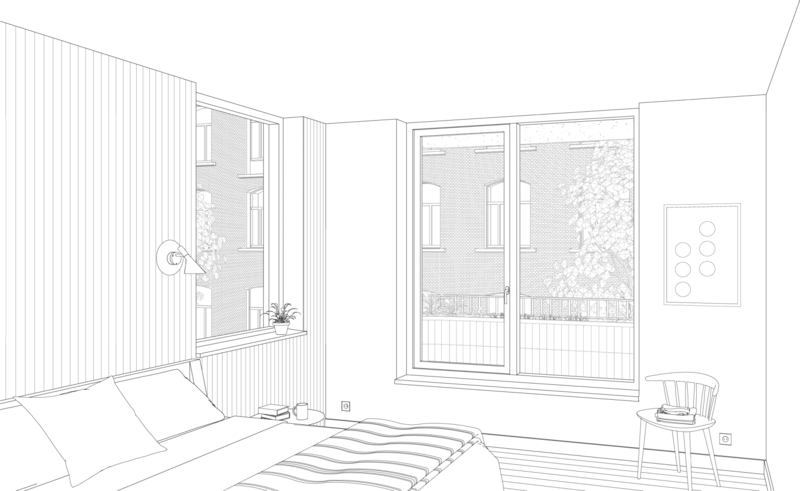 With our proposal we embrace the pre-modern character of the neighbourhood. We adopt architectural features that determined the image before the current office block was built. 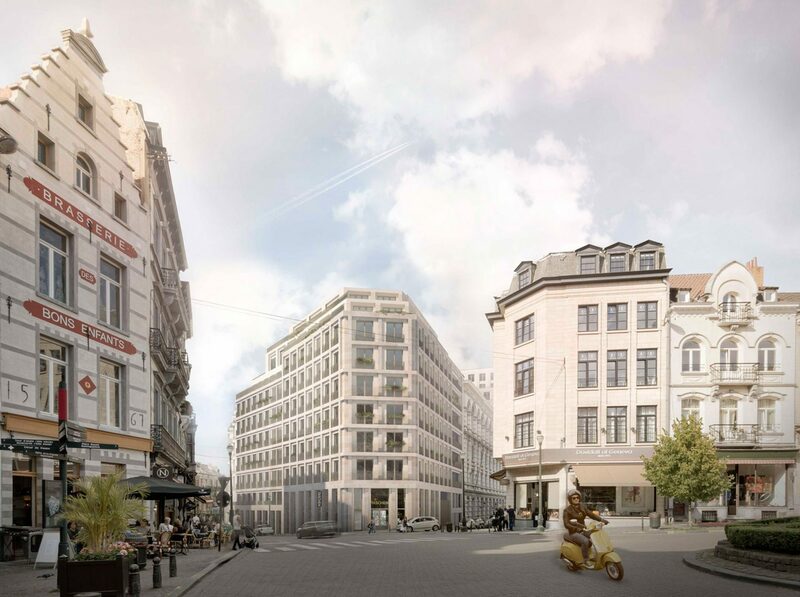 Our intervention aims at enhancing the dignity of the Place de la Justice and attempts to restore the original beauty of Rue Lebeau and the Ruysbroeck Square in a contemporary way. The newly designed façades on Rue de la Paille form a harmonious street wall where the monumental façade of the Hotel Telephonique can stand out. 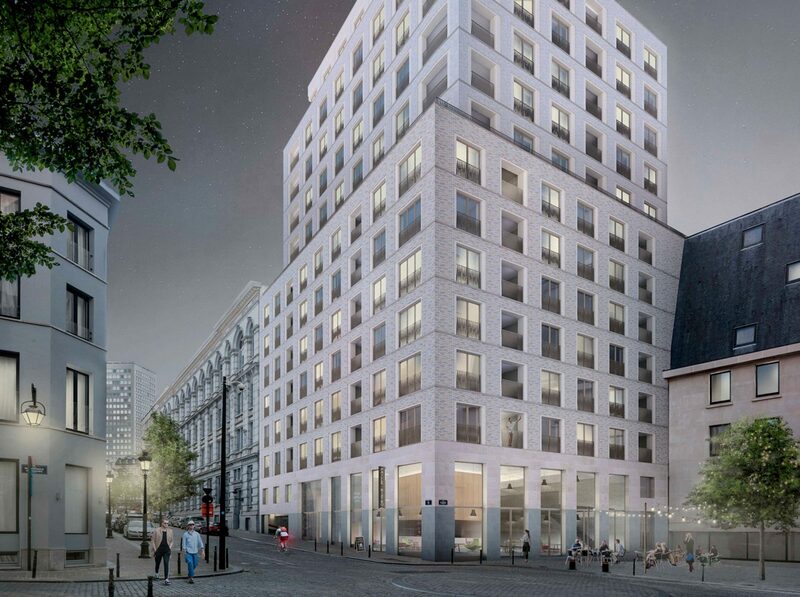 Finally, our building at the Sablon seamlessly fits into its surrounding and contributes to the most important public space in the area, the Place du Grand Sablon. 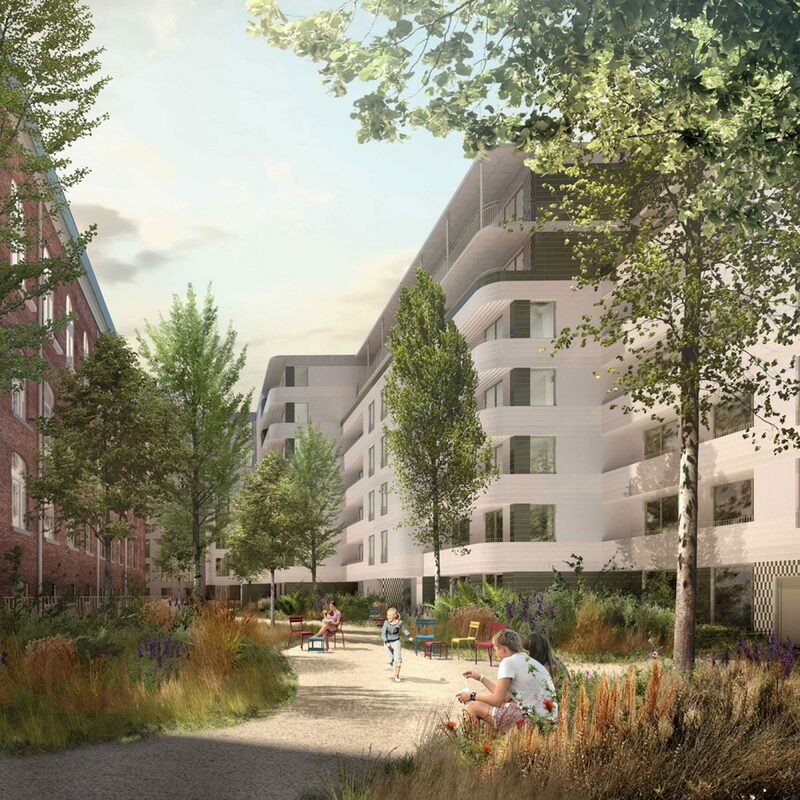 The new project offers the opportunity to add a high quality green space to the neighbourhood. 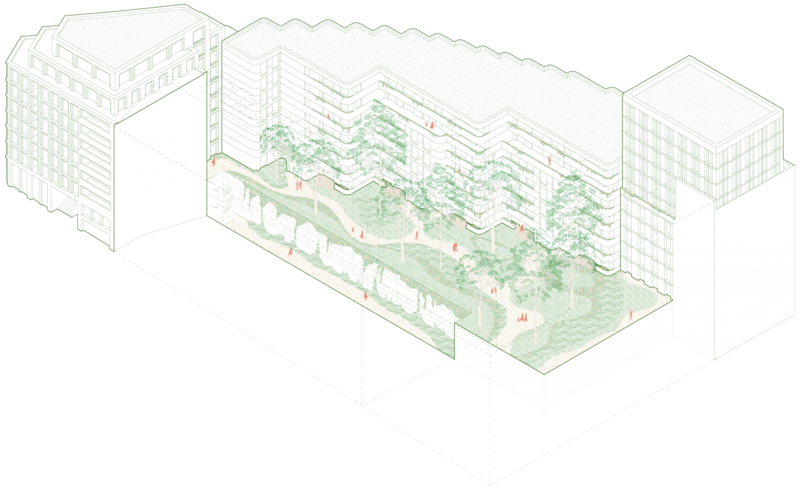 In our proposal the garden is as important as the buildings themselves as it acts both as the logistic hub and the green lung. 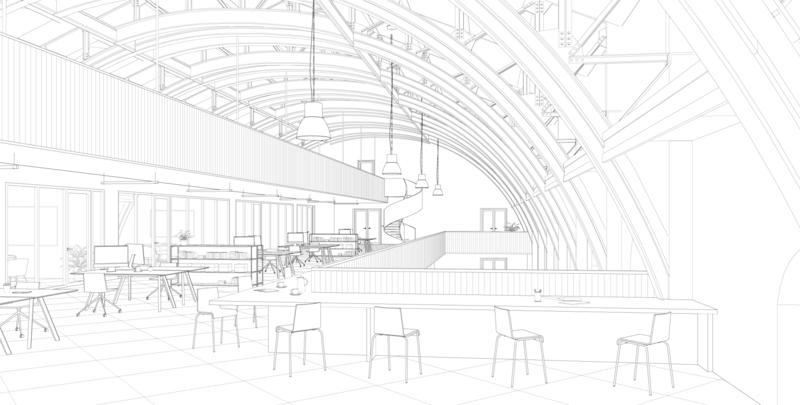 The dimensions of the inner court are kept as generous as possible. Our goal is an intensely planted natural oasis covering the full extent of available surface. The garden design with its natural relief and planting reinforces a feeling of spaciousness. It guarantees the privacy of residents and tenants and offers shade, views, oxygen and character. 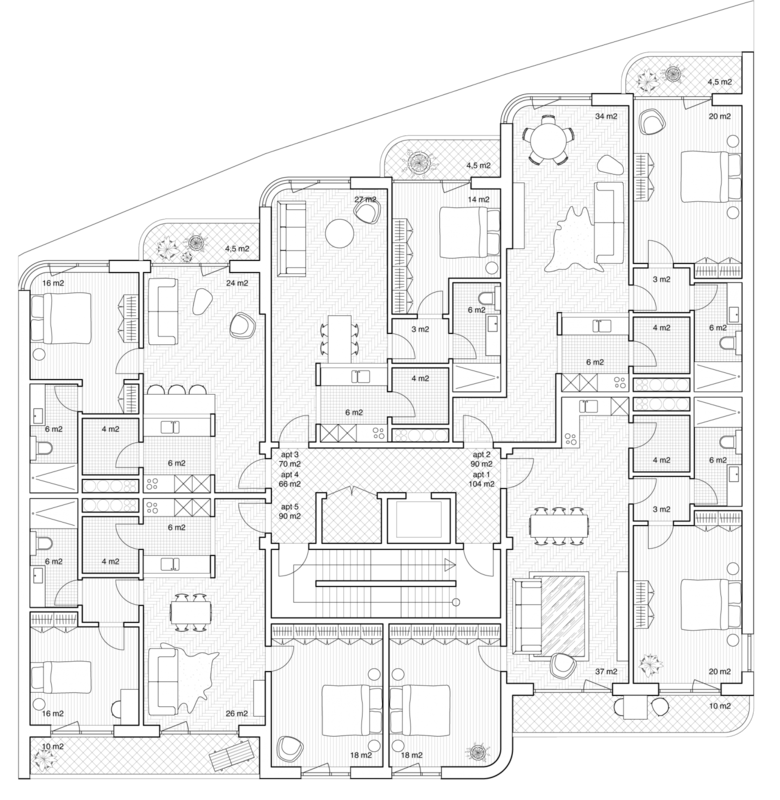 reference project: apartment block ‘la Cascade’, Brussels 1939. 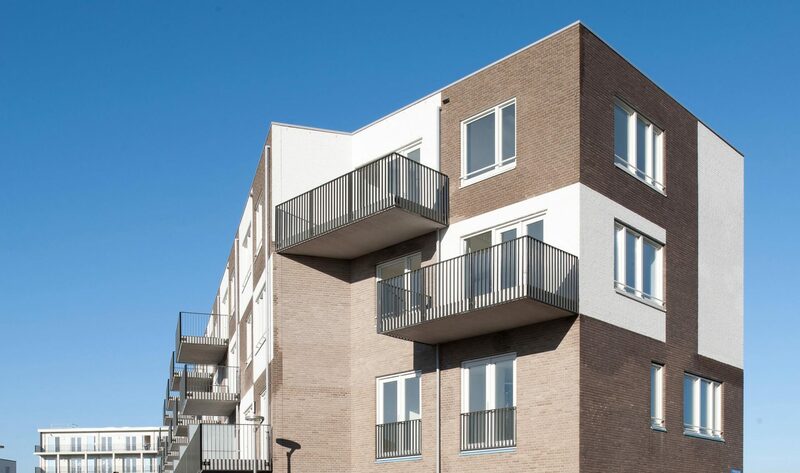 The architecture of the block combines the modern shapes and lightweight materials of its time (glazed tiles and curved glass)with a traditionally materialised plinth. 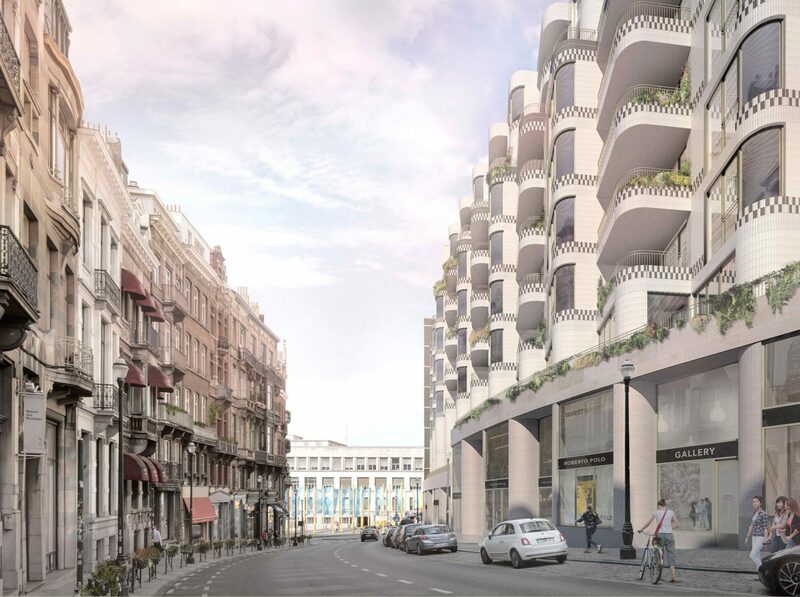 With a new, sculptural apartment block along the Rue Lebeau we propose to restore the street’s double-sided expressive character. 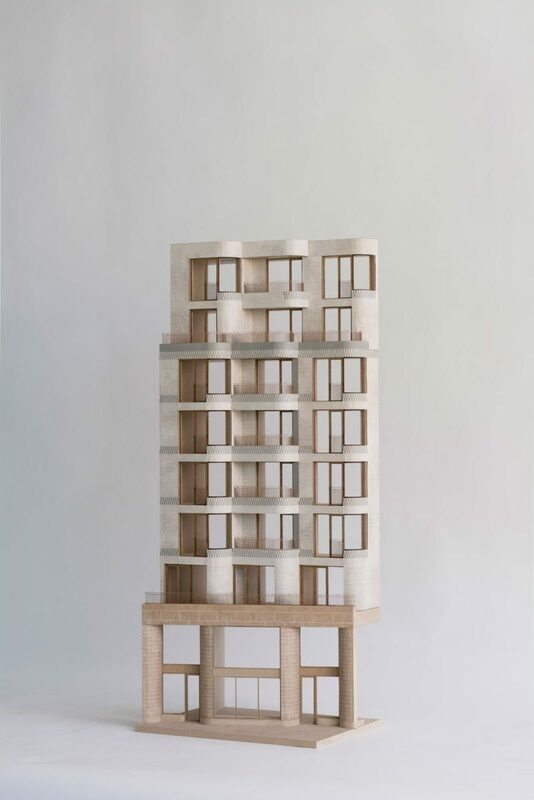 The new building block consists of a high-quality retail plinth that varies in height. 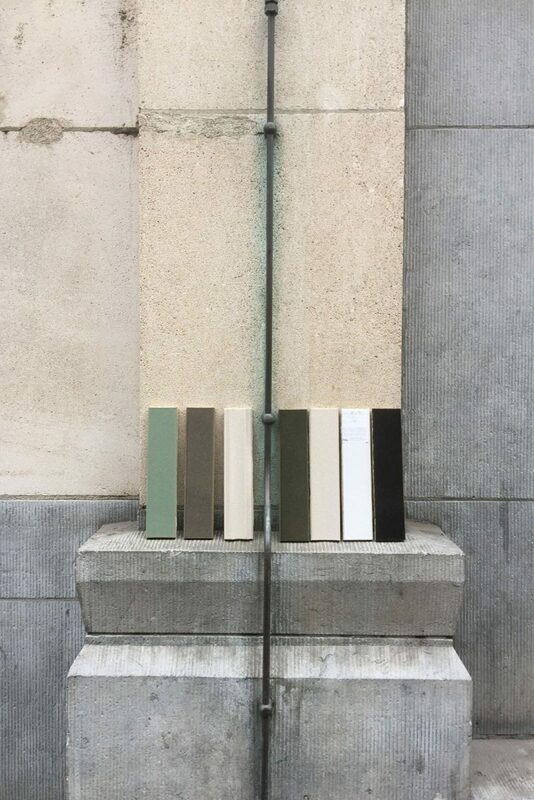 For the plinth we propose to reuse the natural stone taken from the existing building. On the floors above we clad the façades with tiles that match the colour of the plinth. With its well balanced colour scheme the new building acquires a timeless and sophisticated expression. 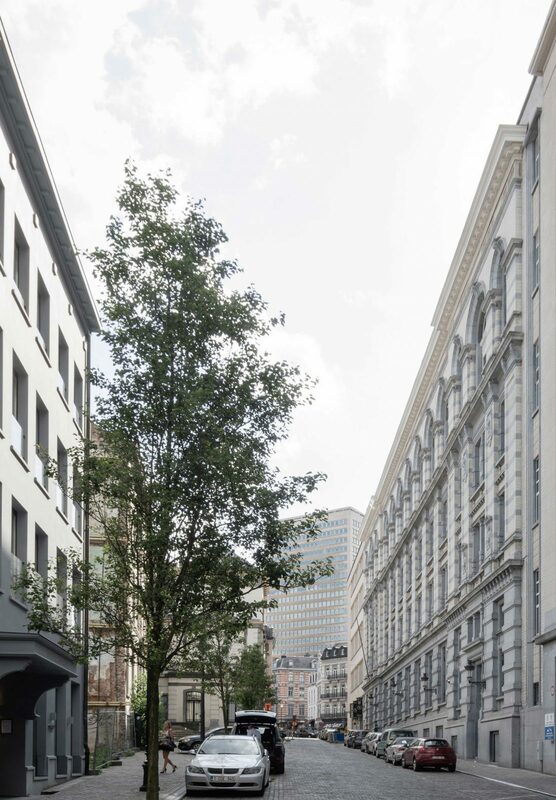 After the restoration and refurbishment the former Hôtel Central Telephonique becomes a versatile, contemporary office environment for different firms who look for high quality, representative spaces out of the ordinary, in keeping with the specific character of the neighbourhood. 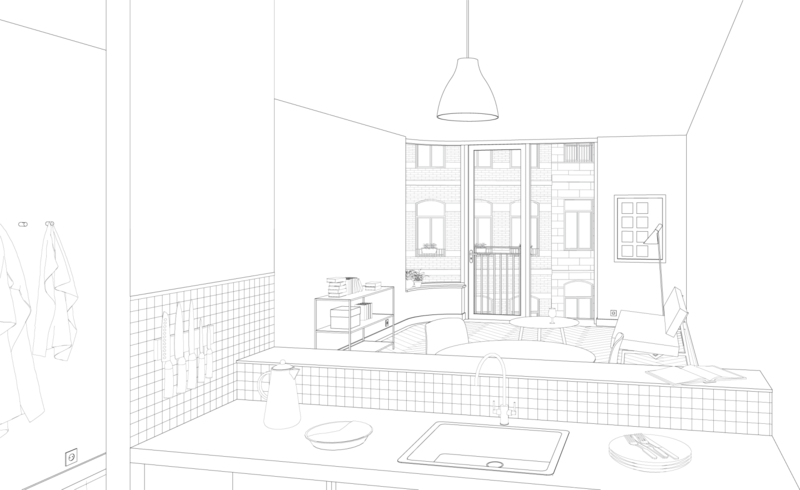 Our proposal for the restoration and alteration of the Paille building aims at restoring both original façades. At the same time we aim at the full restoration of the most important interior features such as the beautiful staircases and the impressive roof structure. 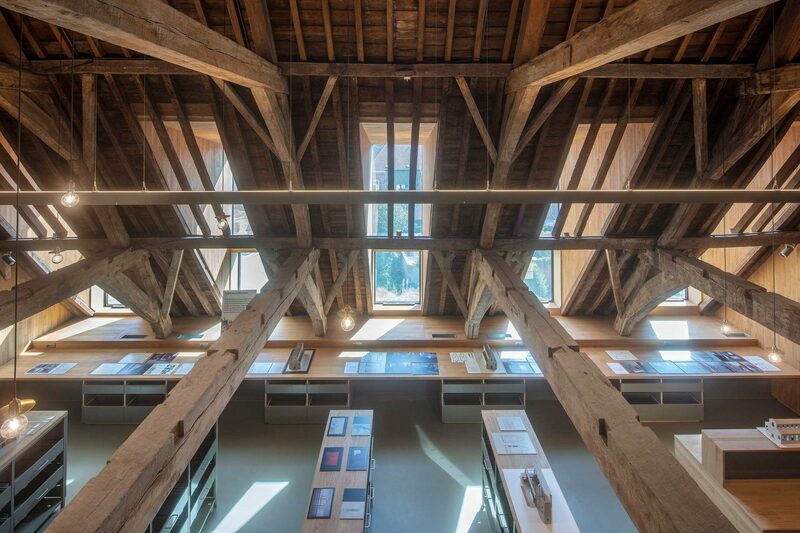 To make full use of the spatial potential and characteristics of the upper floors of the building we alter the (non-original) section of the attic. 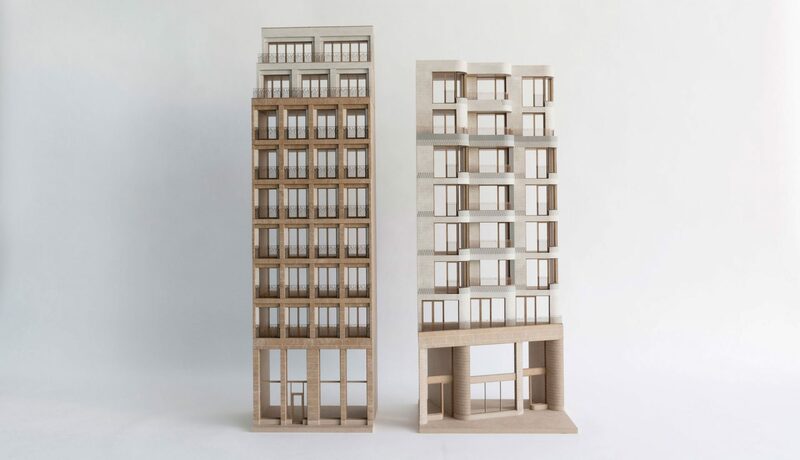 Our new section is carefully tailored to serve the spatial potential of the top floors by introducing voids and mezzanines that only partly occupy the width of the building. For additional daylight we add several, modest dormer windows facing the courtyard.